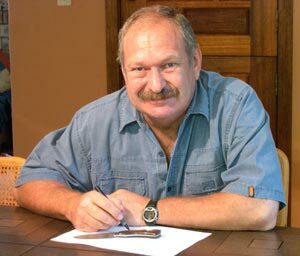 Arno Bernard Sr. lives and works in South Africa. 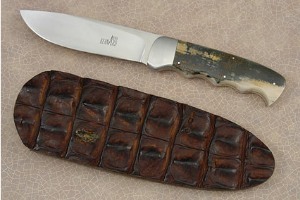 He made his first knife in 1977 out of a sawblade. 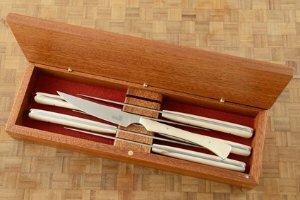 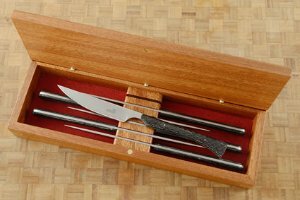 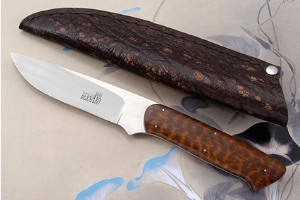 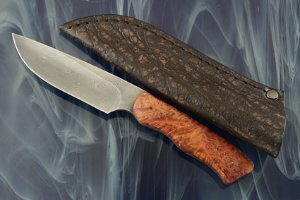 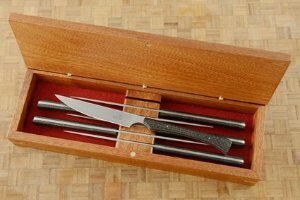 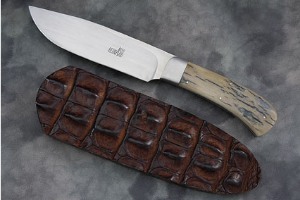 In 1992, he became serious about his knifemaking and eventually became a fulltime maker, joining the Southern Africa Knifemakers Guild in 1994. 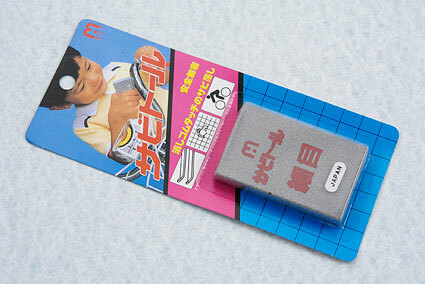 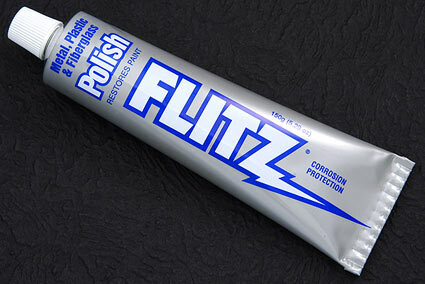 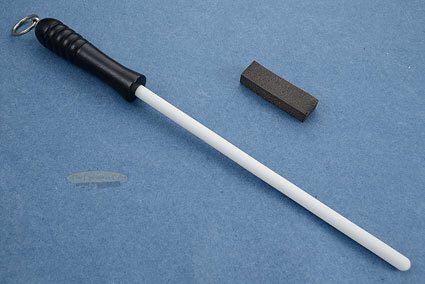 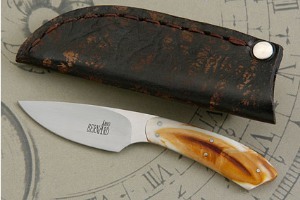 By 1996, he’d stopped his previous occupation as a school psychologist to focus on making knives. 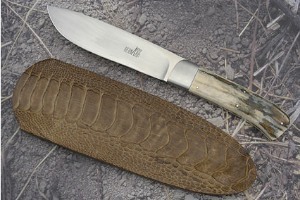 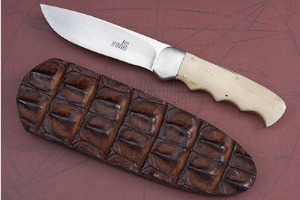 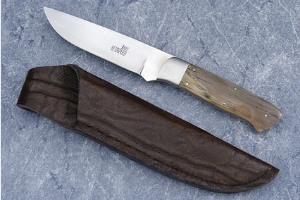 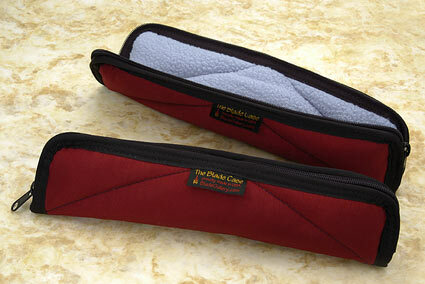 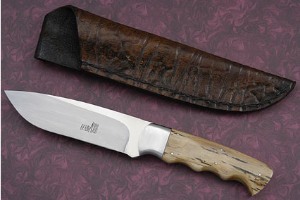 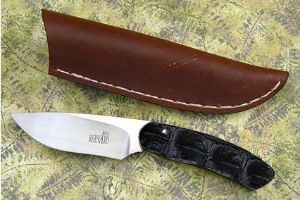 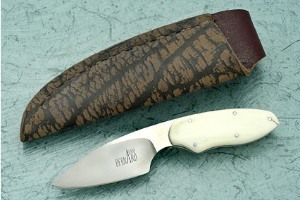 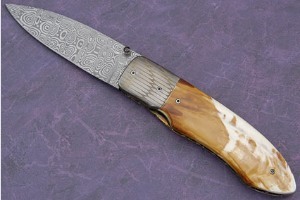 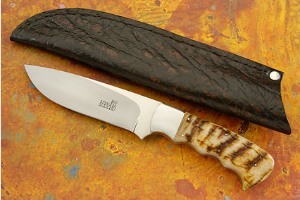 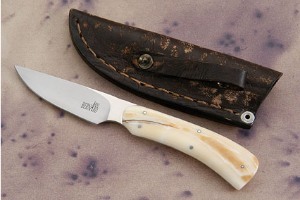 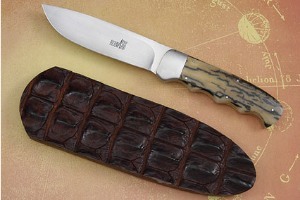 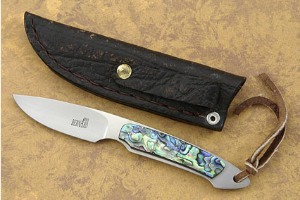 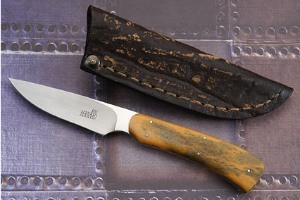 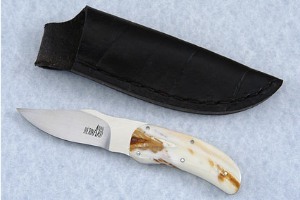 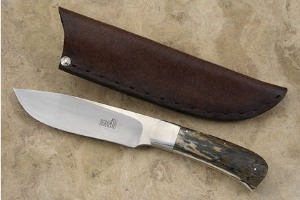 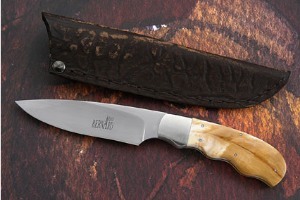 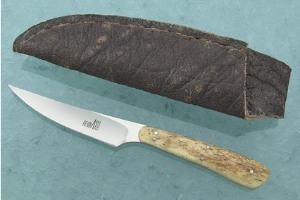 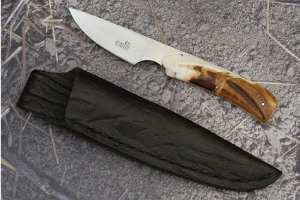 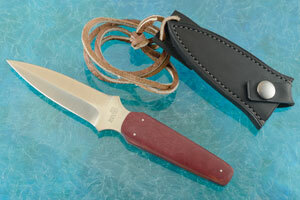 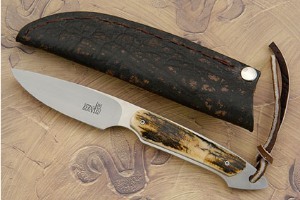 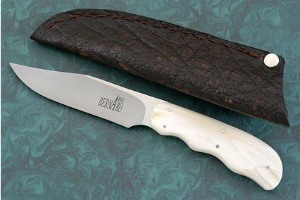 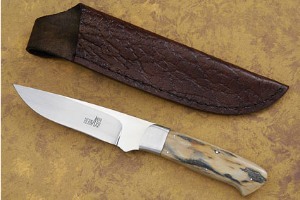 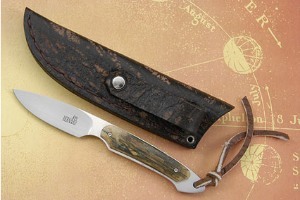 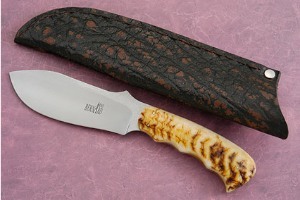 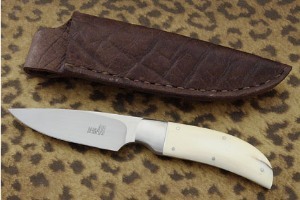 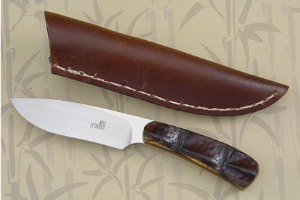 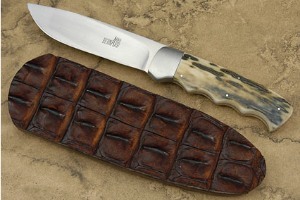 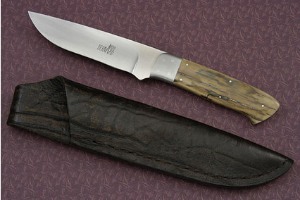 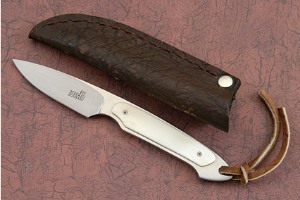 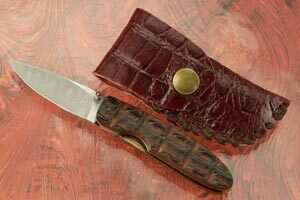 In 2005, Sporting Classic Magazine chose two of his knives for their Knife of the Year project. 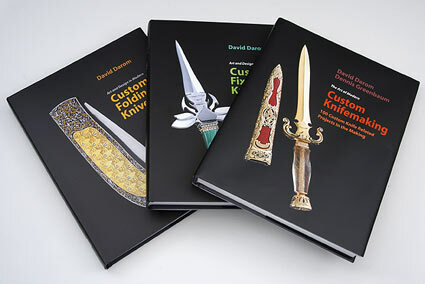 All 150 sets were sold out before April 2005, making it the most sucessful project in the history of the magazine. 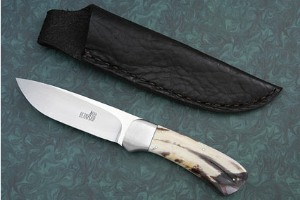 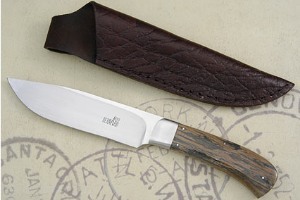 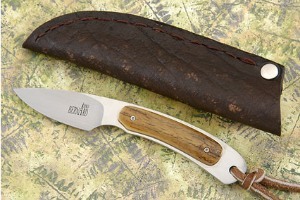 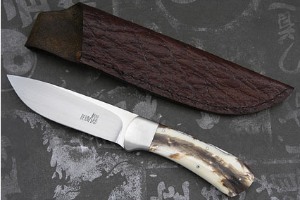 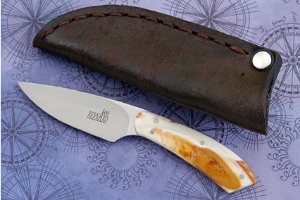 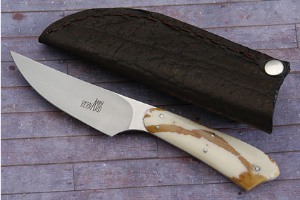 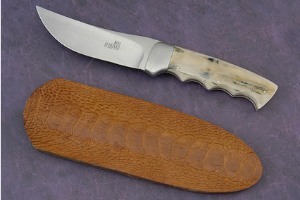 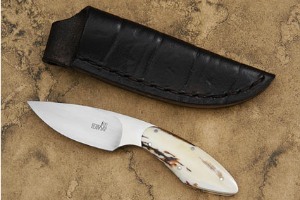 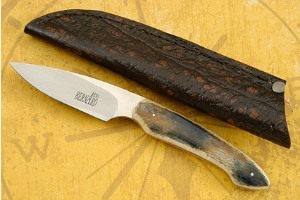 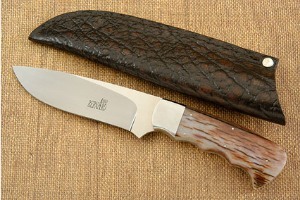 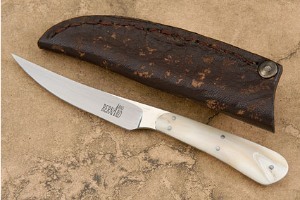 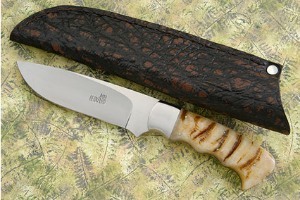 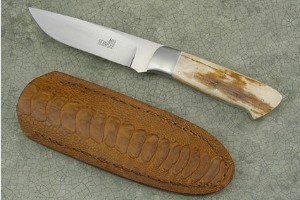 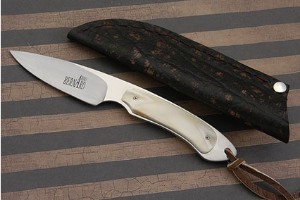 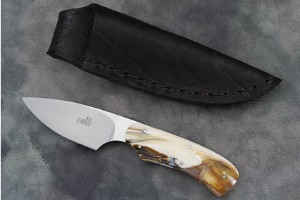 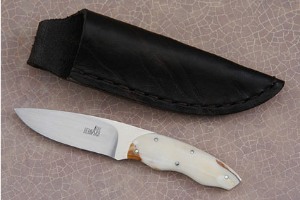 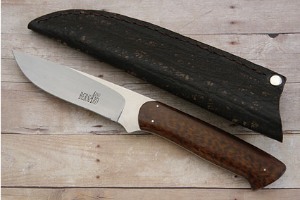 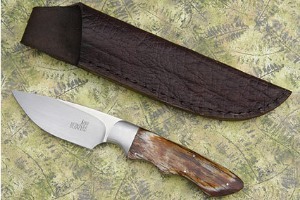 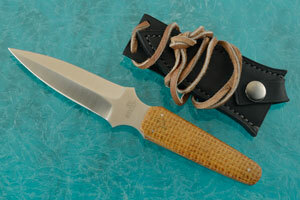 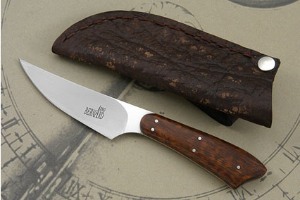 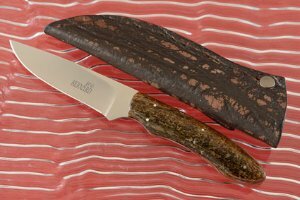 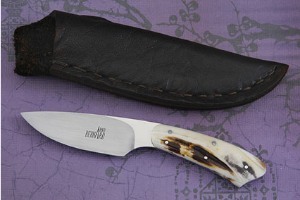 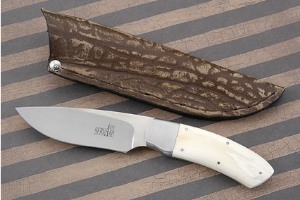 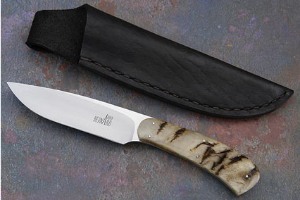 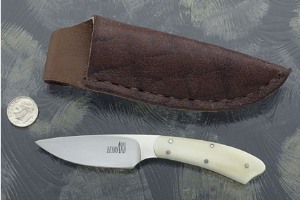 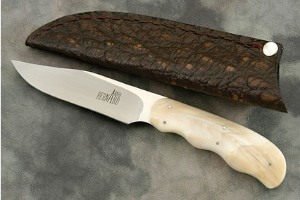 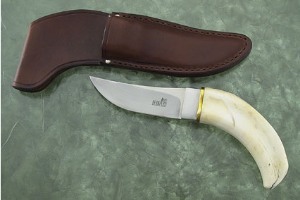 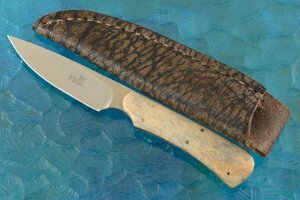 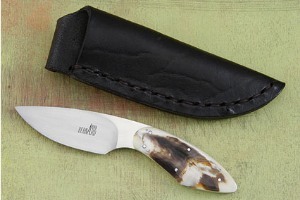 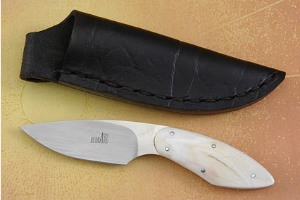 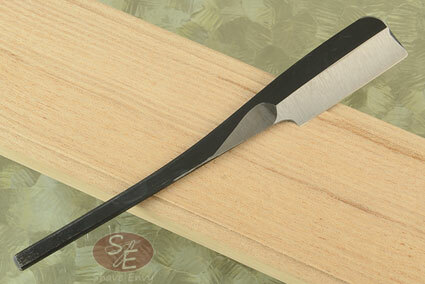 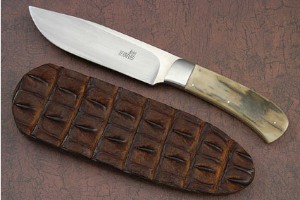 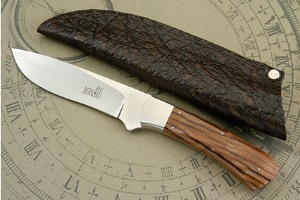 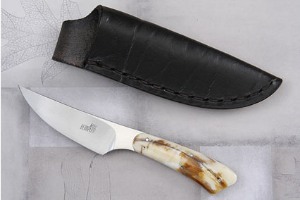 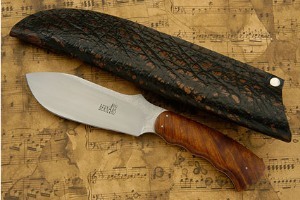 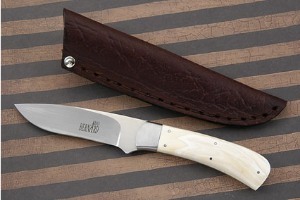 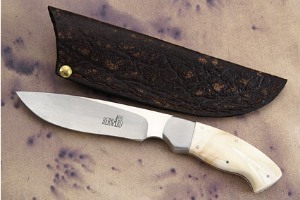 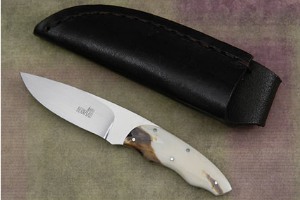 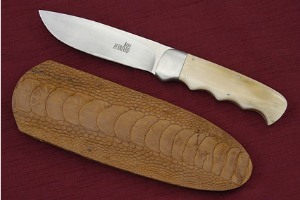 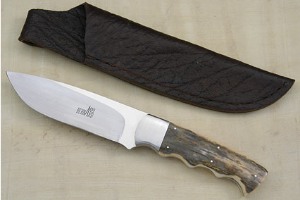 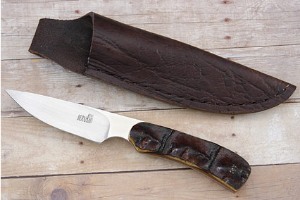 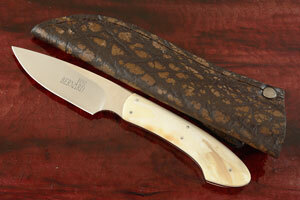 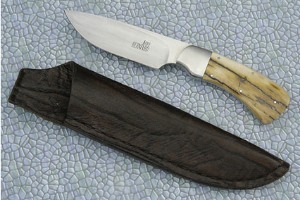 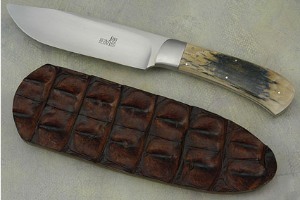 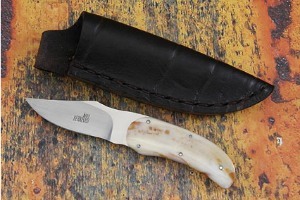 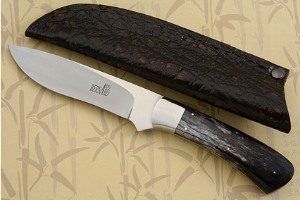 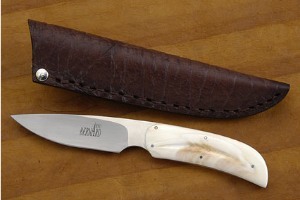 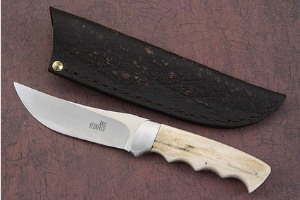 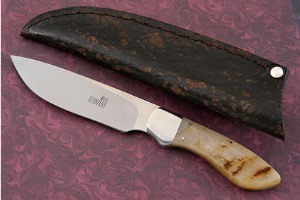 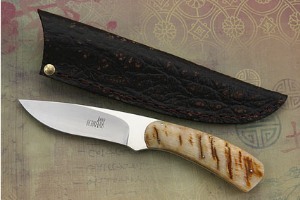 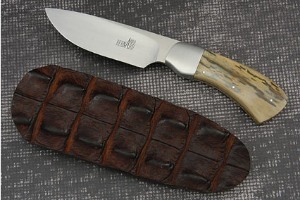 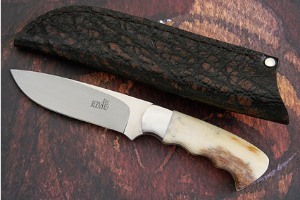 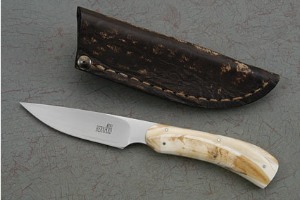 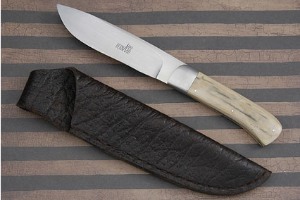 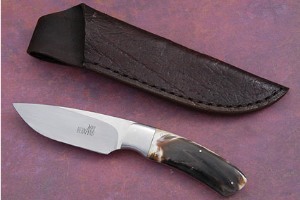 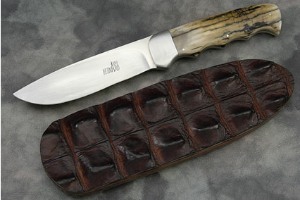 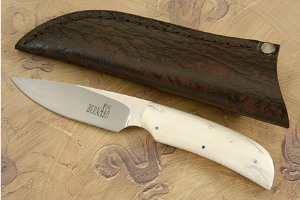 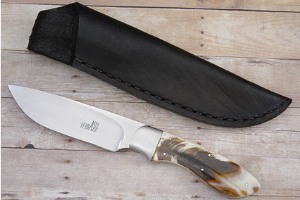 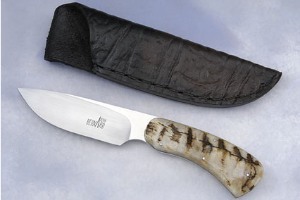 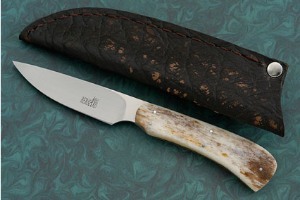 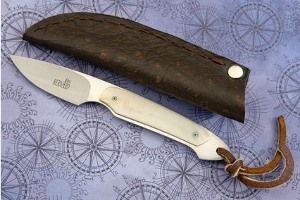 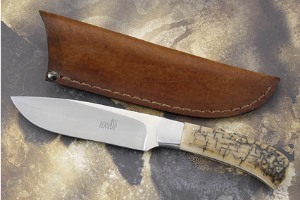 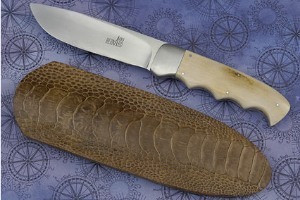 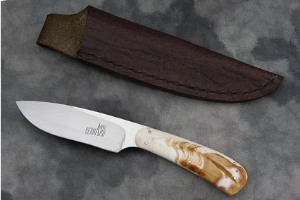 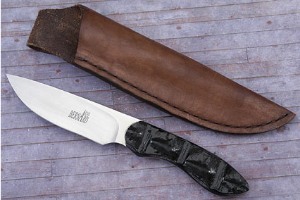 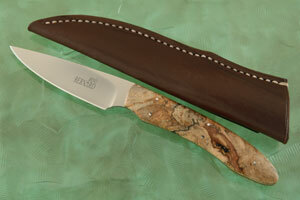 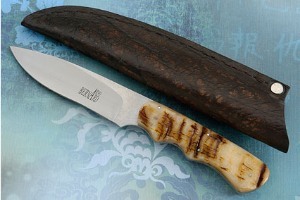 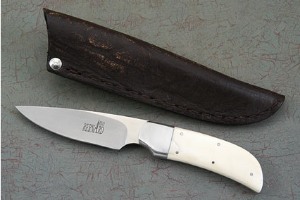 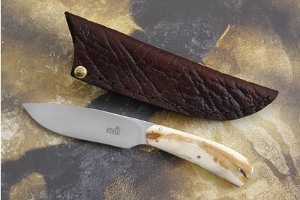 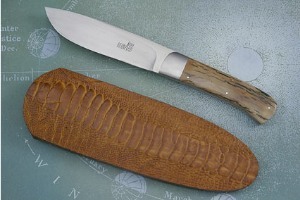 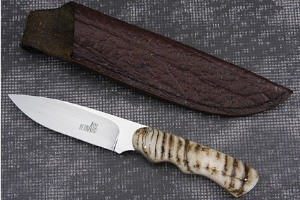 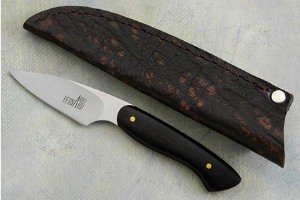 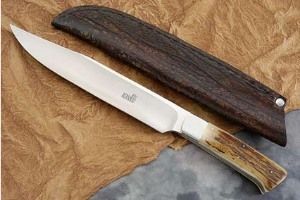 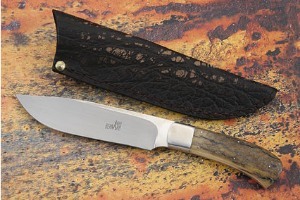 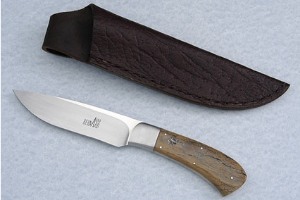 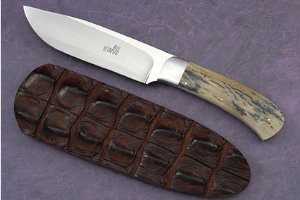 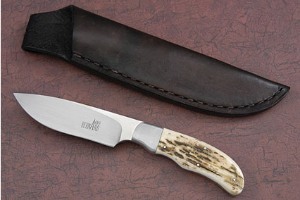 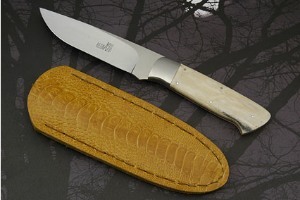 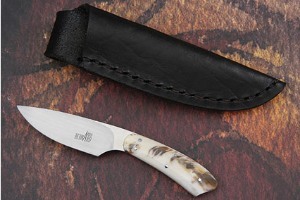 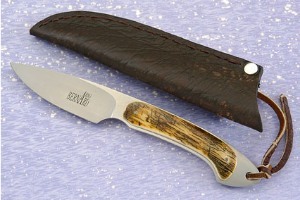 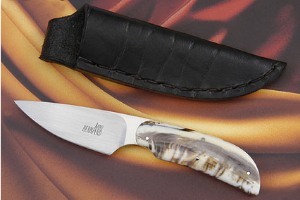 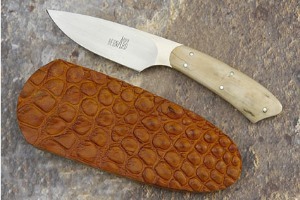 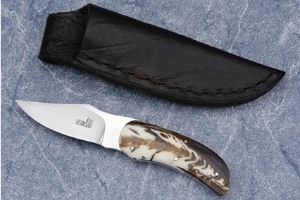 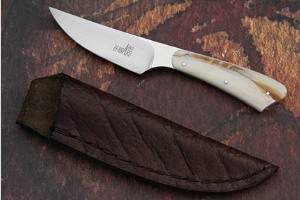 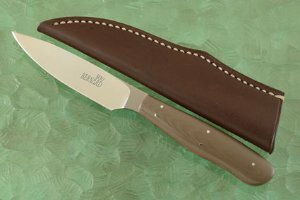 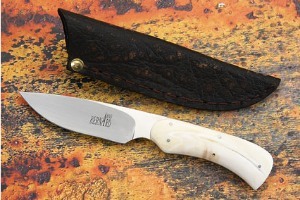 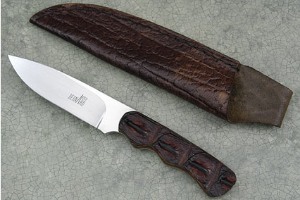 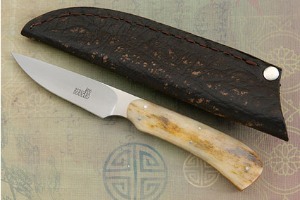 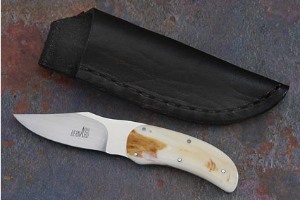 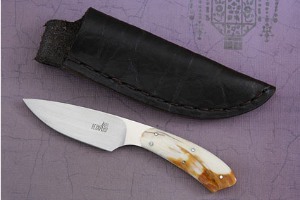 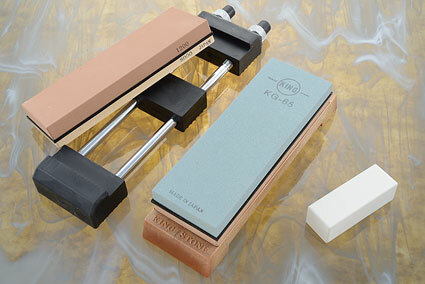 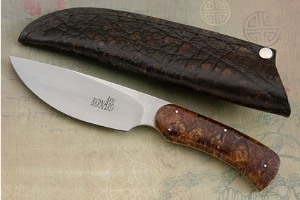 Arno makes fixed blades and folders and likes to work with mammoth ivory, warthog tusk and other exotic materials. 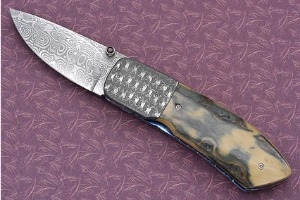 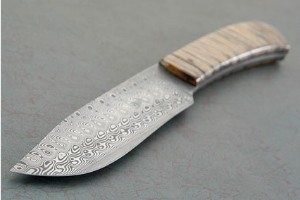 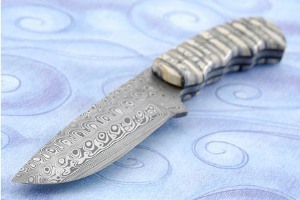 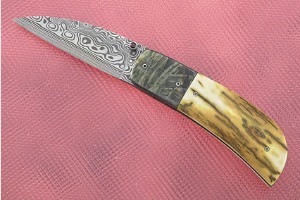 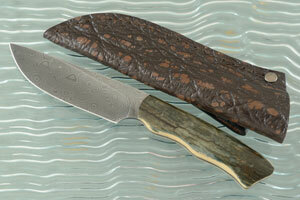 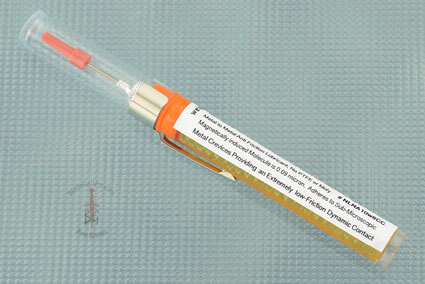 He uses either 12C27 or ATS34 stainless steels along with damascus. 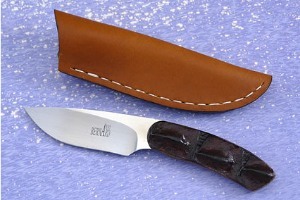 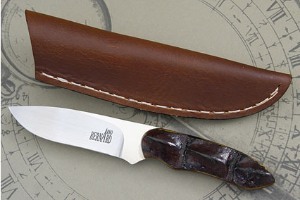 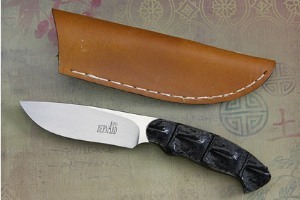 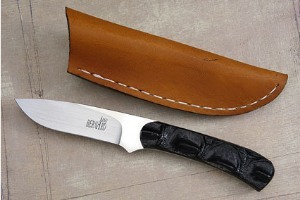 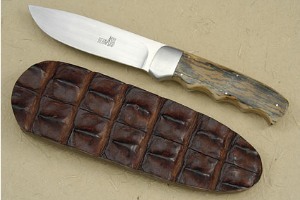 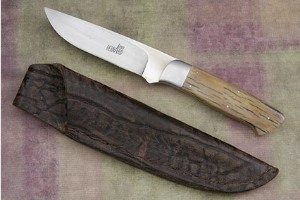 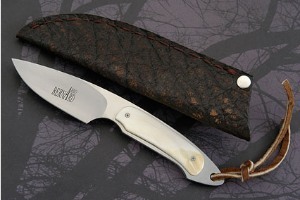 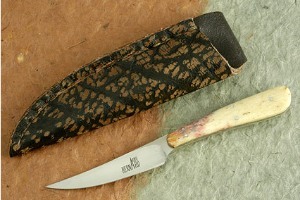 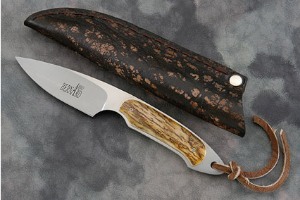 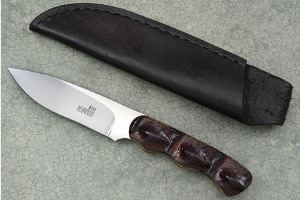 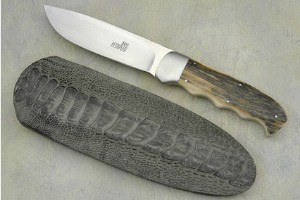 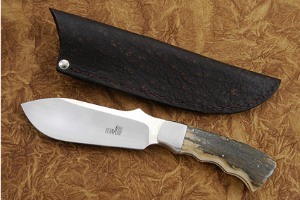 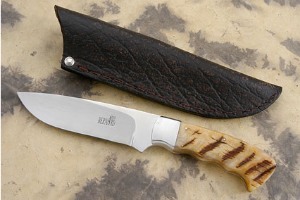 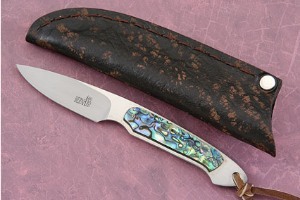 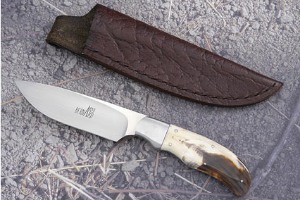 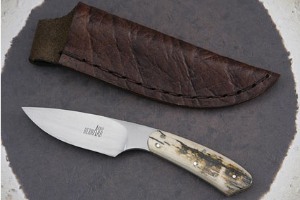 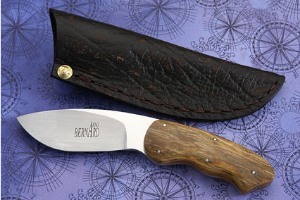 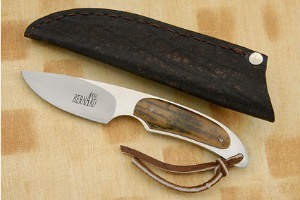 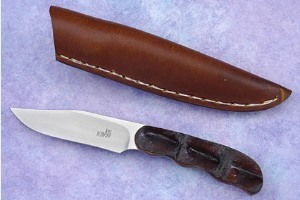 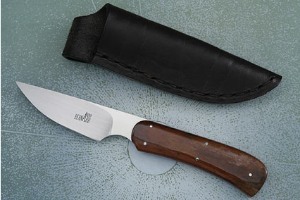 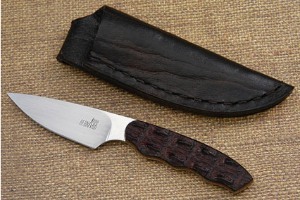 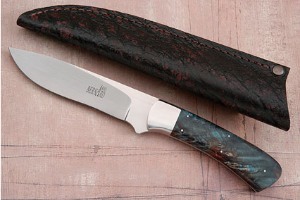 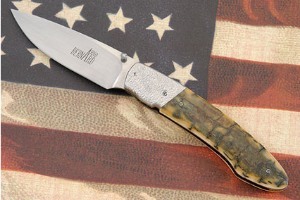 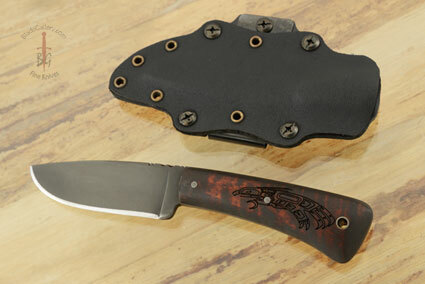 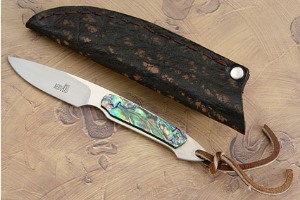 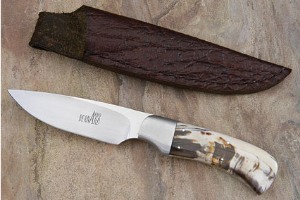 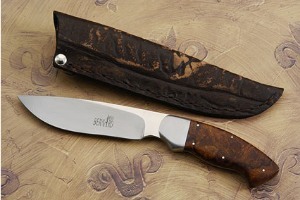 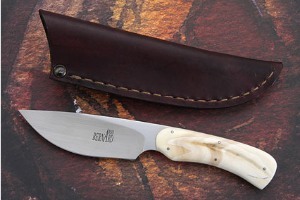 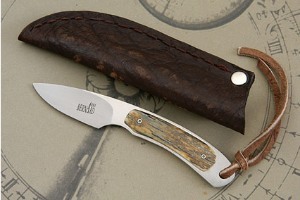 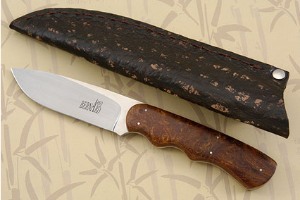 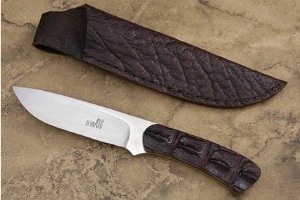 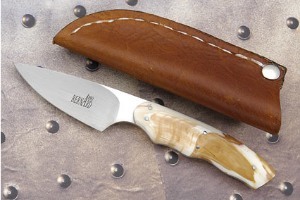 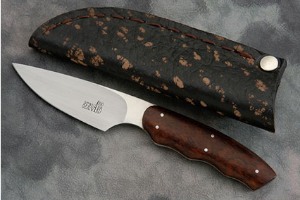 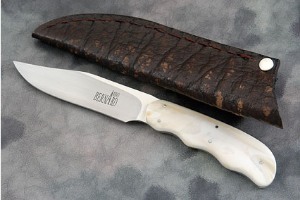 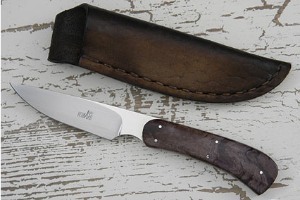 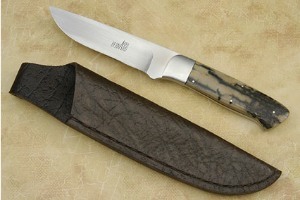 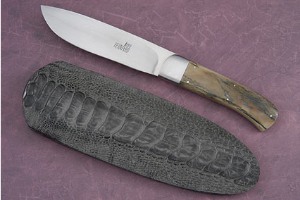 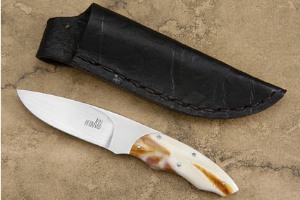 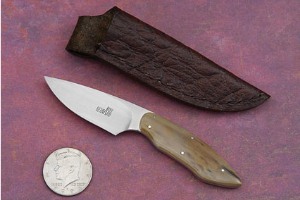 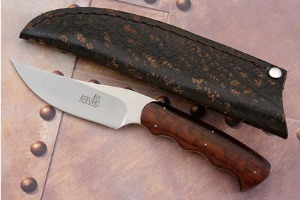 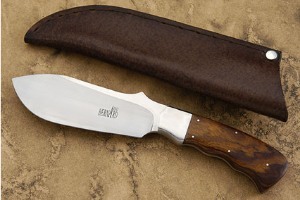 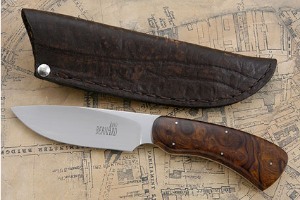 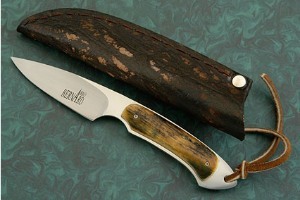 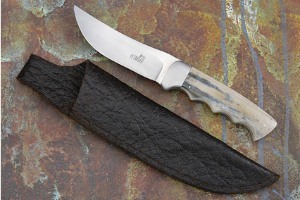 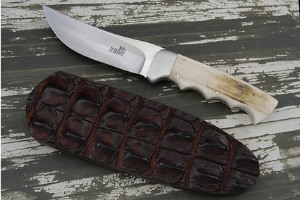 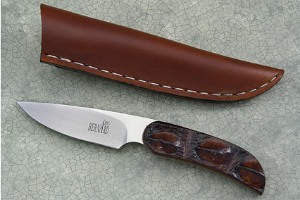 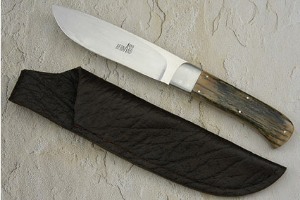 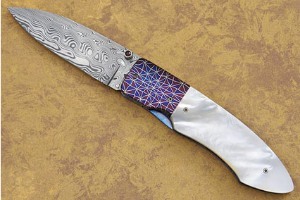 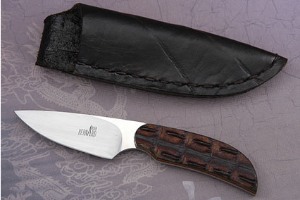 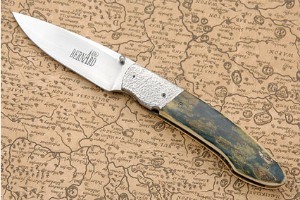 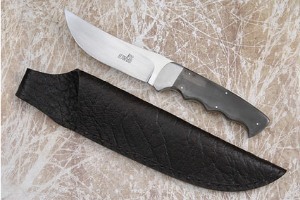 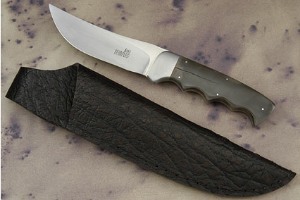 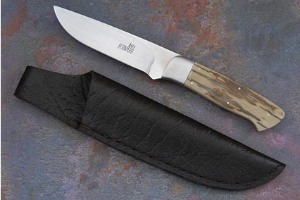 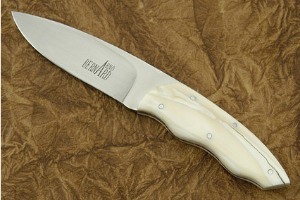 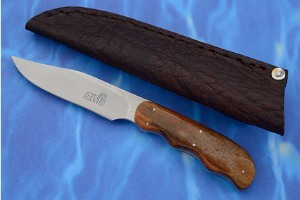 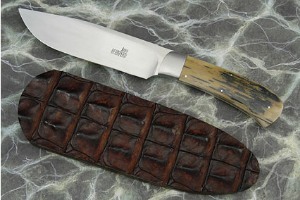 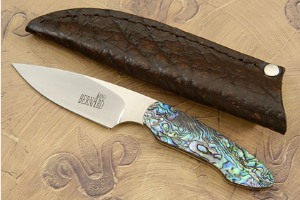 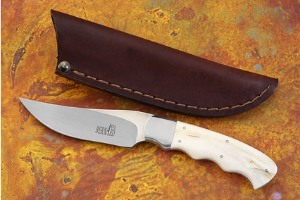 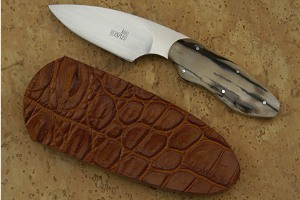 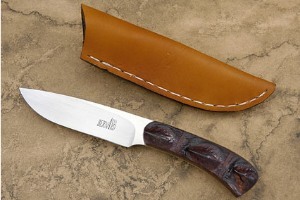 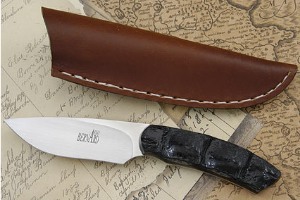 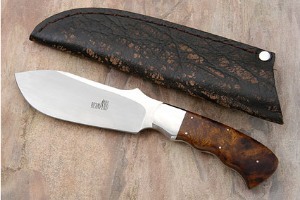 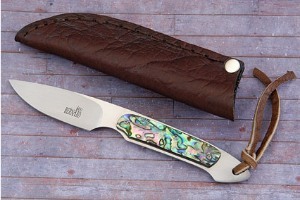 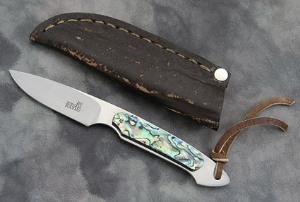 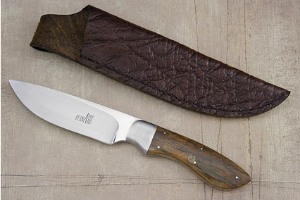 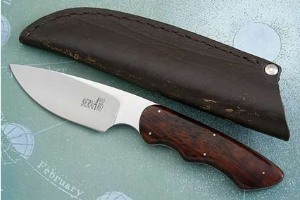 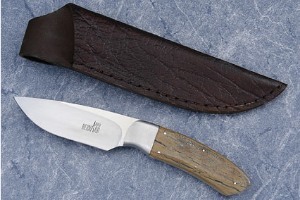 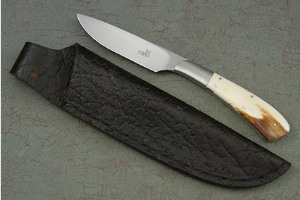 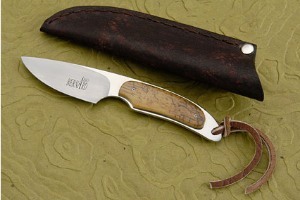 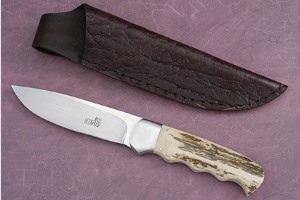 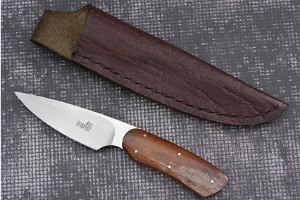 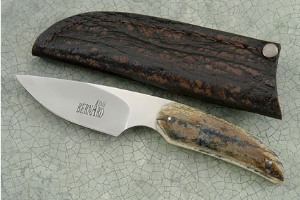 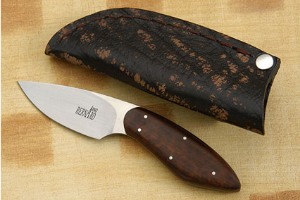 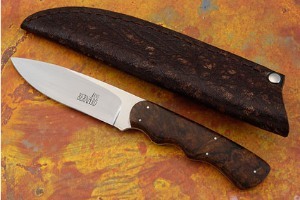 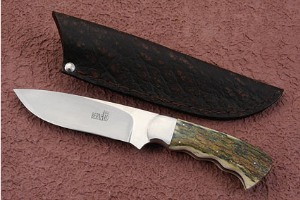 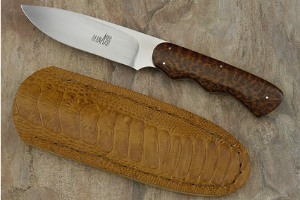 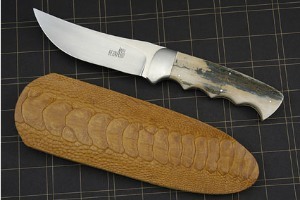 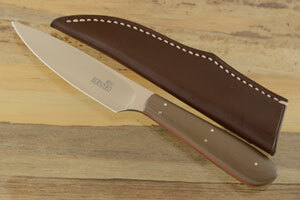 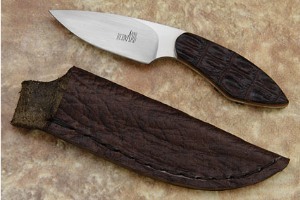 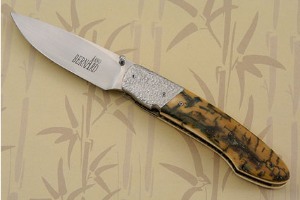 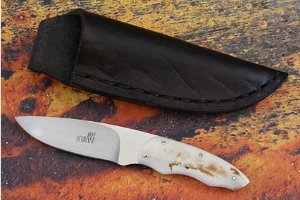 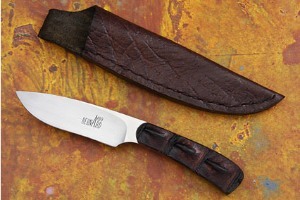 His son, Arno Bernard Jr, started making knives under his father’s tutelage in 2005. 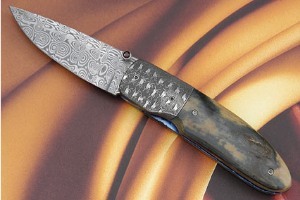 Blade Show during June in Atlanta, USA. 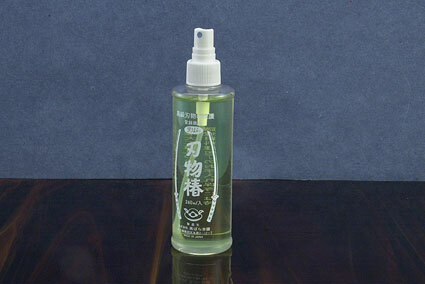 0.375 0.265625 375 265.625 Products Display completed.